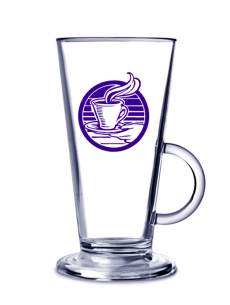 A polycarbonate custom printed re-usable coffee cup with your logo or design of up to two colours. Custom Printed, Elite Polycarbonate 8oz Latte Coffee Glasses are ideal for use in busy commercial bars or cafés. 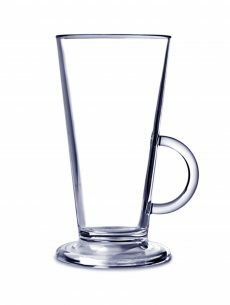 In stylish, solid Black, Clear or White these reusable glasses have a premium appearance and are the safer option, reducing risks associated with broken glass. 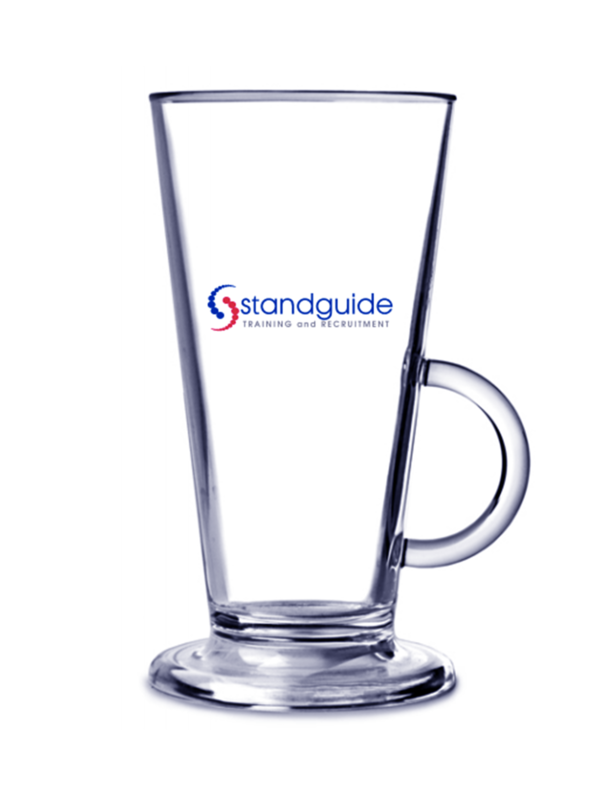 These Coffee Glasses are custom printed with your company logo or be-spoke design using up to two colours. 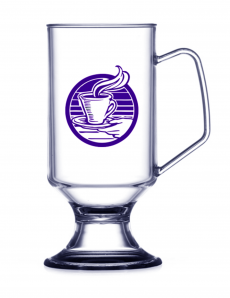 They are made from shatter resistant Polycarbonate Plastic and are perfect for serving hot drinks, liquer coffees and mulled wine or cider. If you need any help with your artwork please contact us and we will be pleased to help. 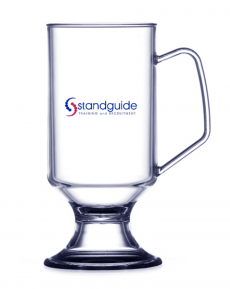 Ensure that the cup is checked for damage before each use. 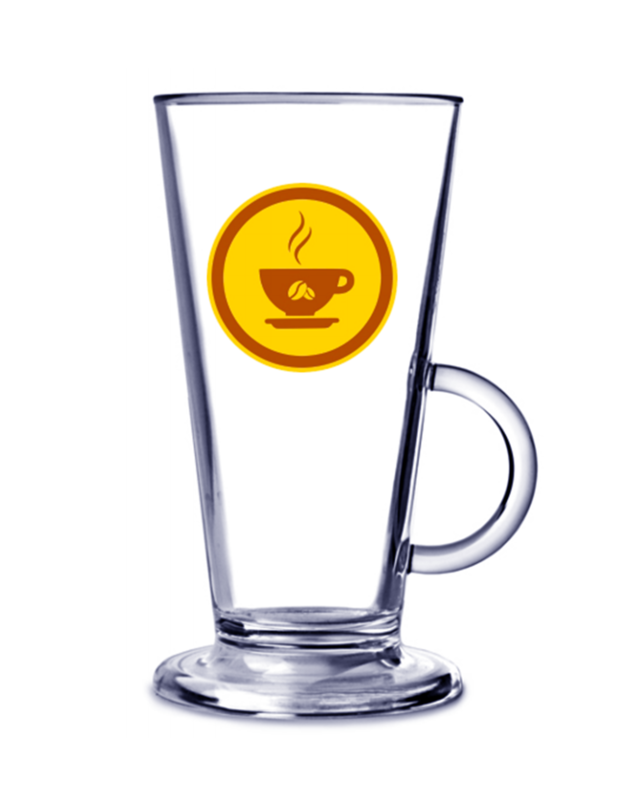 Discard if found.